Oh, those pesky vows. How they can interfere with one’s selfish pursuits. Thanks for that, I replied. And I’m sorry your marriage didn’t last, but bestowing your bitterness on me didn’t work. I reflected on that exchange this week as I’ve been thinking about marriage. Commitment. Vows. Jim and I met up with a couple from New York earlier this week. Sometimes we only see them once a year, but it’s always enjoyable. They’ve been married for longer then we have. They’re two pieces of a puzzle, they’re just both. Then there’s the woman who, after thirty-odd years of marriage. is still gushy over her husband. It’s sweet, yes, and a bit off-putting sometimes. But she can still get corny after thirty years with the same man, so who can find fault, really? The guy who acts like a seven-year-old when he has the flu. The woman who is unbearable once a month. And now, as I see more and more frequently, the partner with a life-threatening illness. Every day can’t be sunshine and flowers. Every relationship is tested during the most difficult times – illness, financial challenges, raising children. That’s also when a marriage can be at its strongest. Stresses are everywhere. Saying “I Do” means saying “I Will.” I will love you even on the days I don’t like you. I will laugh with you, not at you. I will support you and respect you. I will stand by you, no matter what. And I will love growing old with you. My guy and I have been married for 32 years. Our love is so much different than it was 32 years ago: warmer, deeper, richer, gentler, more meaningful and better in every way. Isn’t that the way a marriage should go? A knot becomes stronger with each pull…. I’ve been married and divorced twice and I would never say anything negative to anyone who was getting married, like your ex-co worker did. People who find THE ONE are so very lucky! And similarly, Cheryl, we never know what is going on in someone’s life. Thank you. Coming up on our fortieth next month and I still feel like a bride. Some of us are lucky. Some of us are blessed. I married my best friend and I still get gushy. Wow, your former co-worker was really bitter. That’s too bad. Congrats on your continued happy marriage. You are correct. It’s never too late to find someone to share your life with. I knew an elderly gentleman that was a bachelor well into his 50s. He found his love on a cruise. His darling wife was a wonderful woman but died before him due to some illness. They loved traveling and cooking together. He was lonely for many years before his death recently in his early 90s. I know he is happy to be with her now. Thanks, Bonnie. I wish that for everyone. A delightful post, Martha. As you say in one of your comments, sometimes there are valid reasons to end a marriage, but there are so many more valid reasons to work at a marriage and make it work, if at all possible. My husband and I have been married for forty-nine years – looking down the barrel of our Golden Wedding Anniversary next year. Like any couple, we’ve had our ups and downs, our moments of huffing and puffing; we’ve gone through deaths in the family, multiple serious health problems; we brought up five children, took on another in her teens, have twelve grandchildren. There has been a lot of ‘life’. We are blissfully happy with one another, still in love after all these years, still romantic – and still happy to be together. There has never been a moment in those years we didn’t want to be married to one another. I wish everyone could find what we found, but I know they might not. My tip to them is to try not to be resentful, try to be content. There is much hard work in maintaining a long-term relationship, as well as the joy. But there is much joy to be found in a single life too – you just have to look for it. Oh, Christine, no wonder we like each other! Happy (Nearly) 50!! Well, your coworker was needlessly cynical–particularly just before your wedding too. Sometimes marriages work out and sometimes they don’t. Sometimes people really do have unrealistic expectations. In other cases, the individuals involved are mature enough to realize they’ve married a human being and not a saint or an angel. That’s just the way life is. I don’t see any need for sarcasm or cynicism from anybody. I agree. Also, I keep my blog posts deliberately brief, but I know marriages end. Abuse, addictions (unacknowledged and continuing), adultery – there are valid reasons. Tender Beautiful Honest…so well written…you 2 share 3 important things in a successful relationship…”Three A’s”…Attention, Appreciation and Affection…Bless you Martha and Jim! We’re going on 37 years and still going strong. In the past years we’ve weathered the deaths of all four of our parents, the death of our younger son, the death of our youngest grandchild. We’ve reveled in the joy of our daughter getting married, the births of our three grandchildren, the survival of our daughter after the death of her fourth child, the graduation from college of each of our children and the achievements they’ve made. Most of all, we’ve done it shoulder to shoulder, hand in hand, the stronger one helping the faltering one each step of the way. You are so right when you say “I do means I will”. I am so blessed to be traveling through life with this man. This is so beautiful and well-written, Martha! Saying IDO is Saying I Will, perfectly spoken. I have been married 36 years this pass August. Not always a smooth road, some bumpy ones too. But this does make us stronger. I have been diagnosed with some health issues and I know he will be there be there with me. Not out looking for a good time with what a stranger. We both don’t believe in that. We both remember our vows. Well, I’m going to follow you, too, Patti! Thank you, and you and your Knight epitomize what marriage is. Martha, you are so right, marriage isn’t something light and airy, I used to think it was, now I know it’s finding that special someone who makes you whole. The one you want to kill sometimes, get them out of your hair a lot but you know you can’t live without them. That’s what makes the marriage work, finding someone who you not only respect but can’t live without keeps you both together. Exactly, Dave. You said it better than I did! 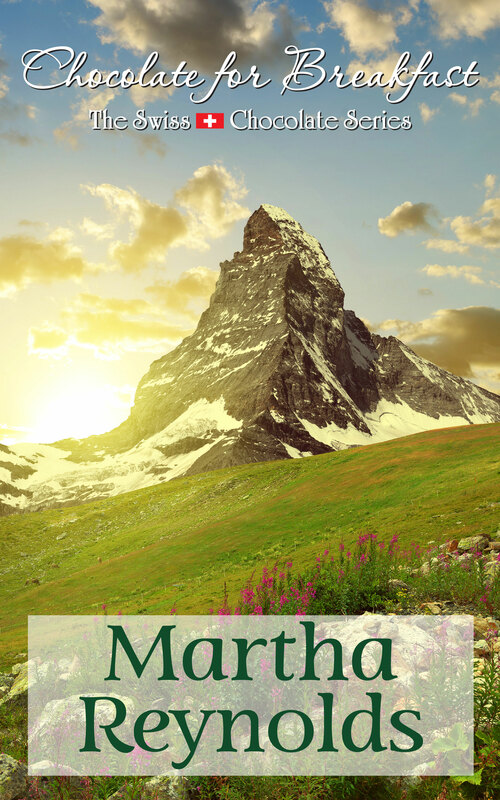 I love Martha’s thoughts on being married! Thank you, Diane – and of course! Being single for 52 years, I have dreamed of being married. Your article comes off a little smug. Praise God for your husband, we are not all as Blessed as you are. I would welcome the opportunity to be there for someone. I’m not smug, I’m blessed. I married at 36. My sister married at 46. It’s never too late to find the right one. Wishing you love.